Taking a photo from just 20 feet in the air can make a world of difference. Give your viewers a different perspective by getting drone photography for your upcoming project. Adding Aerial and Drone video can take your promo videos or real estate listings to the next level. Increase production value instantly and stand our compared to your competition. If your considering adding drone photography to bring up your production quality, then our Twilight Photography services will take it to the next level! They accommodating and took the job at extreme short notice and was able to provide photos as requested at the desired time. Brian was very professional throughout the entire process and his price point beat out the competitors. I highly recommend. Professional, smart, fast, high quality equipment, easy to work with, priced very competitively, would recommend to anyone!! 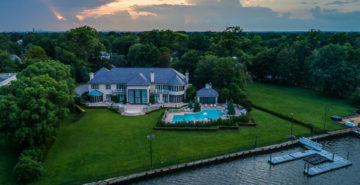 At Long Island Drone Photography, we are here to help take your marketing material to the next level, offering both aerial drone photography and video. Increase your production value and blow away your competition. Contact Us today for more information or a FREE quote.